Minsk is a very green city. It does not matter in which part you stay, you will definitely find a park nearby! We made a Top-5 list of locals favourite parks in Minsk. This centrally located park can be easily found. 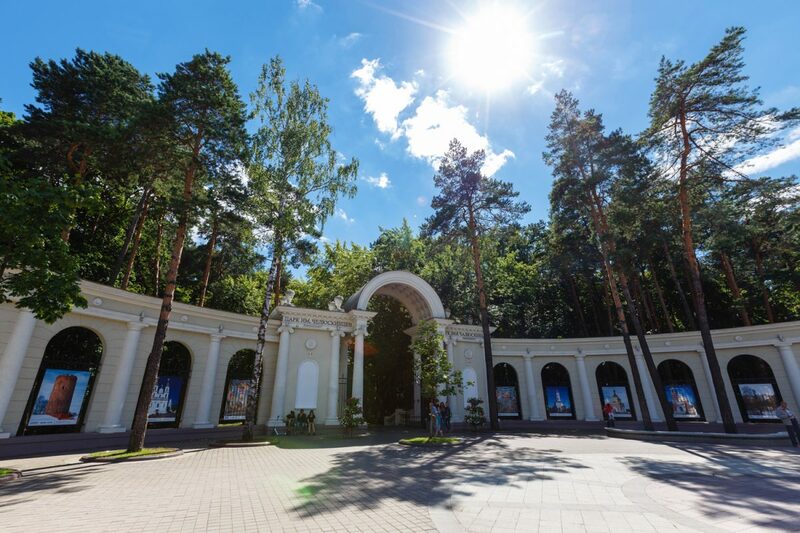 Founded in 1805 by the first Minsk governor Zachary Karneev, a large park with flower beds, alleys and artificial canals became the first public place for rest in Belarus. Today you can visit it to stroll through the beautiful park lanes as well as for its amusement park. Gorki Park still keeps a spirit of Soviet romantic. It is one of the largest botanical gardens in Europe, both in a composition of collections and in an area. There are about 10,000 diverse trees, plants and flowers from all over the world, including about 2,000 species and varieties of tropical and subtropical plants. Most of the exotic flora representatives are in the greenhouse, so you can visit the garden even in winter. To visit this park in Minsk you have to pay 6 BYR (around 3 euro). It works every day except Monday from 10:00 to 19:00. It is an urban park in Minsk which looks like a forest because of thousands of huge trees. It is a good place for both – a slow walk, and for having some fun and getting adrenalin in its amusement park. Also, it’s very nice to be here on a hot day, because high firs hide you from a heat of the sun and save a pleasant coolness. 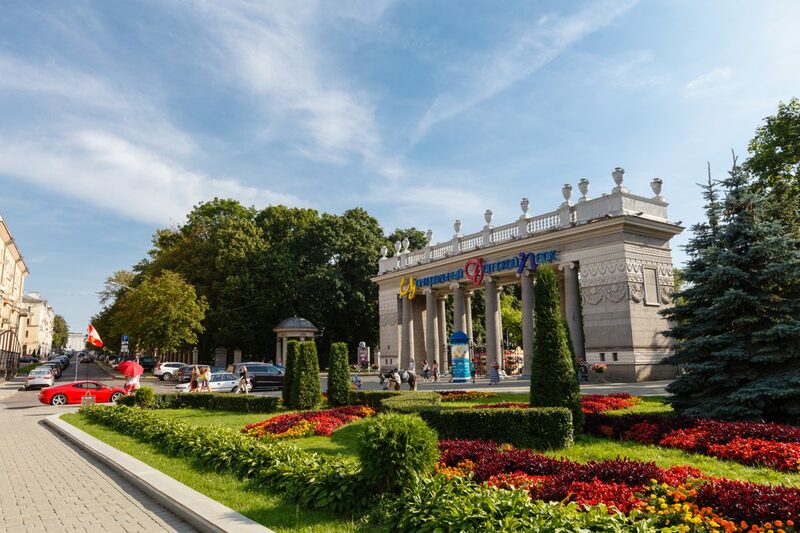 Since its first mention in 1557, this park in Minsk has seen many outstanding personalities. The last owner of the Loshitsa estate, Evstafy Lubansky, significantly enriched the park. So today you can see here many rare for Belarus species of trees, such as magnolia, Siberian fir, Manchurian nut, Crimean and mountain pines and others. 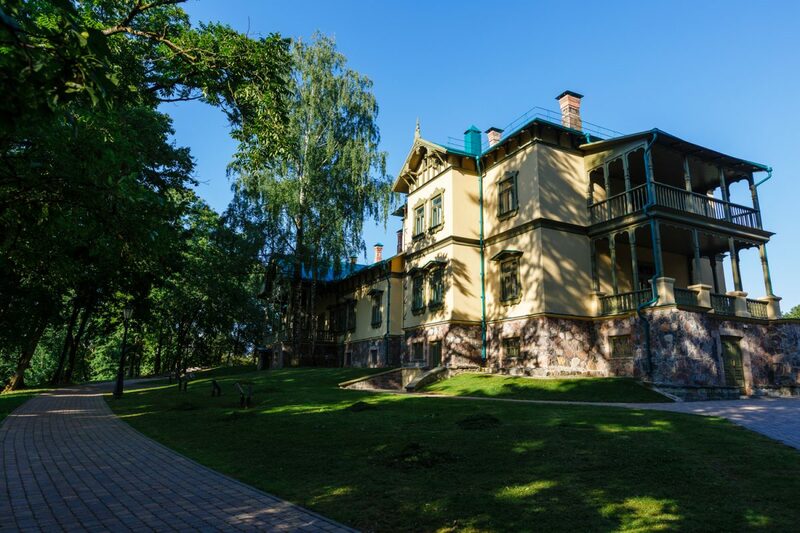 The most famous ghost of Minsk – the wife of Mr Lubansky Yadviga, who drowned because of the love affair, – also lives in Losycki park. But do not worry, people say that the ghost does not have any bad thoughts, moreover, it wants to help lovers with some practical advice. The park has one more unique feature: about 10 thousand years ago the border where the last glacier stopped passed here. Get there by bus 102 or trolleybuses 5 and 6 from the Central Railway station (the bus stop near McDonald’s). This park in Minsk is especially popular for hiking and cycling, thanks to convenient and long paths. There is more than 25 km of pedestrian and almost 3 km of bicycle tracks here. Cross the 60-meter bridge to visit the Bird Island, where high trees and rugged vegetation have become a refuge for a large number of living here birds. Even the tracks are equipped in a special way. In summer you can get some suntan on the beach on the opposite side of Komsomolskoye lake. Come here when it’s dark and enjoy the fountains illuminated by different colours and the highlight of the embankment. You can also fill your day with visits to top Minsk museums. If you are looking for something different, check the main hipster spots in Minsk.